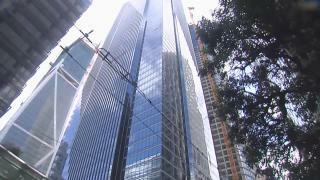 A San Francisco Department of Building Inspection report issued Monday sets a Jan. 15 deadline for Millennium Tower officials to assess the fire safety hazard first exposed by NBC Bay Area. NBC Bay Area’s investigative unit reported on the secret conclusions from consultants Allana, Buick and Bers. They determined that gaps between the outer façade, or curtain wall, and the tilting tower structure pose a safety risk to the occupants. The risk is that fire could shoot through the gaps and more readily spread across the 58-story structure. The outside experts’ report – prepared in December 2016 -- calls for a full investigation into those gaps and indicates they are the product of the building sinking and tilting. However, that finding was blacked out of the version of the report until reported by NBC Bay Area. Meanwhile, the concrete structure is now leaning north and west and has sunk some 17 inches. It was Pretlow who fought for more than a year to get the full report on the source of odors that repeatedly invaded her unit. The full findings say the gaps pose a serious life safety threat and are likely caused by the sinking and tilting building. Neither the Millennium developers nor the homeowners association has commented on the fire safety issue. Separately, city building officials grumbled in their inspection report that the building had not met handicapped access regulations for more than a year. The report found that “even though a permit was obtained at the end of January, 2017, to bring currently non-compliant [handicapped] ramps into compliance, no work has yet begun. “Building Inspection is requesting immediate compliance work to begin on the ramps in the lobby area,” the report warned. A hearing on the ramp issue is now set for Jan 16.